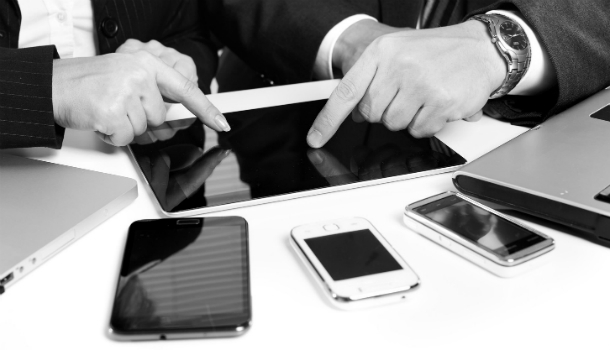 Mobile enterprise application deployment is strategic for enterprises today. It’s rare that ‘work’ is actually carried out at a traditional desk, in a traditional office on a traditional desktop computer anymore. With the technology landscape evolving, many executives perform a range of business tasks on the most advanced device on the move. In the earlier days of Mobile Enterprise Application Platform (MEAP) solutions, cost and time to market were two major barriers to entry, as price points of $1 million or more of up-front investment were required for the most basic deployments across perhaps a few hundred employees. Such a deployment could take at least six to eight months and would be hampered by technology changes in hardware and software. In addition, what was deployed was often a siloed solution that wasn’t scalable across the company and across multiple applications. Such time, price and scale concerns often deprioritized mobile application enablement in the enterprise. Some companies began to build on their own — an approach that often created some of the same scale and silo issues. However, over the past year and a half, a number of factors have emerged to address these key challenges and additional catalysts have pushed forward tremendous growth in MEAP where organizations have begun to embrace MEAP and move away from building their own enterprise mobile applications. What is Mobile Enterprise Application Platform? A mobile enterprise application platform or MEAP is a comprehensive suite of products and services that enable development of mobile applications. The term was coined in a Gartner Magic Quadrant report in 2008 when they renamed their “multi-channel access gateway market”. What is the purpose of Enterprise mobility platform? Mobile enterprise application platforms address the difficulties of developing mobile software by managing the diversity of devices, networks and user groups at the time of deployment and throughout the mobile solution’s lifecycle. Unlike standalone apps, a MEAP provides a comprehensive, long-term approach to deploying mobility. 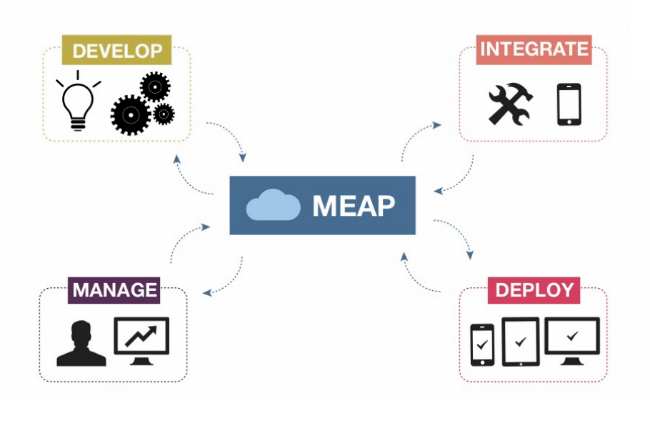 Cross-platform development considerations are one big driver behind using MEAPs. For example, a company can use a MEAP to develop the mobile application once and deploy it to a variety of mobile devices (including smart phones, tablets, notebooks and ruggedized handhelds) with no changes to the underlying business logic. Platform applications are best for companies that wish to deploy multiple applications on a single infrastructure, scaled to the size of their current mobile field force and available in an online and offline mode. Mobile platforms provide higher-level languages and easy development templates to simplify and speed the mobile application development timeframe, requiring less programming knowledge for mobile business application deployment. Achieving flexibility in working arrangements pose some enterprise problems that IT departments are now getting accustomed to: discovering & securing mobile devices (mobile device management or MDM), making sure they are provisioned with the appropriate applications (mobile application management or MAM) and ensuring the safety of sensitive content they access (mobile content management or MCM). Many of the solutions in these areas are now coalescing into enterprise mobility management (EMM) suites. One of the biggest problems facing IT departments as they try to cater for mobile working concerns the kinds of applications they should develop and deploy. It’s a key problem because the enterprise software landscape is currently so varied, encompassing traditional off-the-shelf (mostly Windows) desktop applications, custom-written applications, native mobile apps (mostly iOS and Android), mobile web apps (increasingly HTML5) and cloud-based (SaaS) software. For example, should CIOs and IT managers wait until native mobile, HTML5 or SaaS versions of their organizations’ key commercial desktop apps become available? And which mobile platforms should they support when mobilizing their custom-written applications? How to choose a MEAP Solution? Once the requirements are clear there is a choice between choosing an existing platform and vendor, building one or possibly a hybrid of the two. There are various vendors out there although most are also tied into a specific backend supplier. Existing solutions include SAP Mobile Platform, IBM Worklight, KonyOne and GG/DMI Open MEAP. Most of them are primarily paper products as each implementation is 80% custom development, but provide a good starting point. An alternative is to establish a standard framework based on a combination of best practice guidelines, tools and code that can be reused across the applications. Organizations such as MTV and ESPN have done this successfully over time. The third option is to use an existing platform and customize it based on the organization’s needs. This may be an especially great alternative if there are many common platforms and processes already. This can also be leveraged to create a standard for the applications as well. IBM entered the mobile enterprise market “practically overnight” when it purchased MEAP player Worklight earlier this year. Worklight, a privately held Israel-based company, developed an open platform that speeds the delivery of mobile applications to multiple mobile devices. Financial terms were not disclosed but the deal was rumored to be around USD 50m-60m. Worklight raised roughly USD 20m in outside capital and was estimated to have 2011 revenue between USD 5m and USD 10m. Less than two months ago, SAP-Sybase acquired California-based MEAP Syclo. Last month, Google acquired Motorola Mobility, which in turn had acquired Rhomobile, another independent California-based MEAP. Also in October, Adobe purchased a Canada-based MEAP Nitobi Software. Mobile Enterprise Application Platforms play an important role in providing the integration technology between corporate back-end systems and mobile devices including smartphones, tablets, notebooks and handhelds. As enterprises are under increasing pressure to deliver more applications across a wider set of platforms, MEAPs are poised to sweep in and steal market share by offering mobile application platforms more robust than those offered by traditional platforms vendors without a mobile strategy. Rishabh Software helps organizations deploy enterprise mobile solutions. Our team of experts help in integrating & developing customized MEAP solutions along with our various other mobile app development services. Want to find out more about various mobile enterprise application platforms and how it can benefit your enterprise? Then do get in touch with us to get more information on our development services.